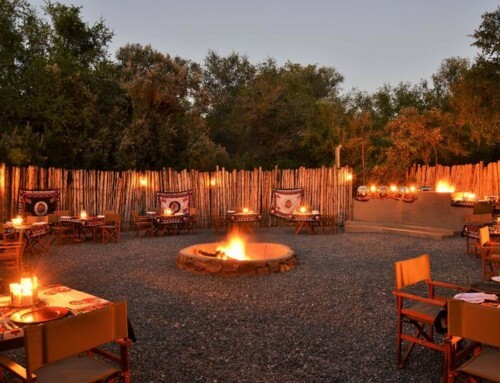 Dine under stars while enjoying delicious Pan African cuisine in a rustic outside Boma or on alternate evenings, in the beautiful dining room. 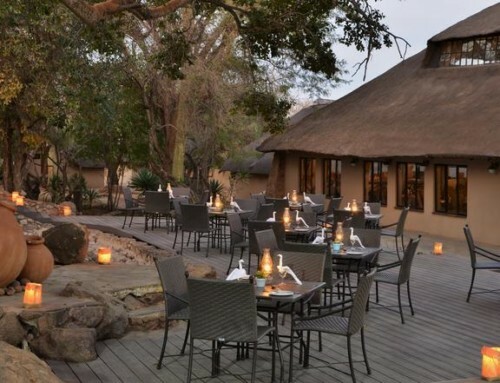 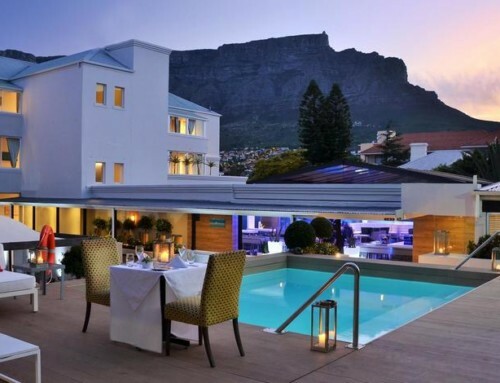 Dinner is complimented with an extensive selection of top South African and imported beers and wine, together with a variety of spirits and soft drinks. 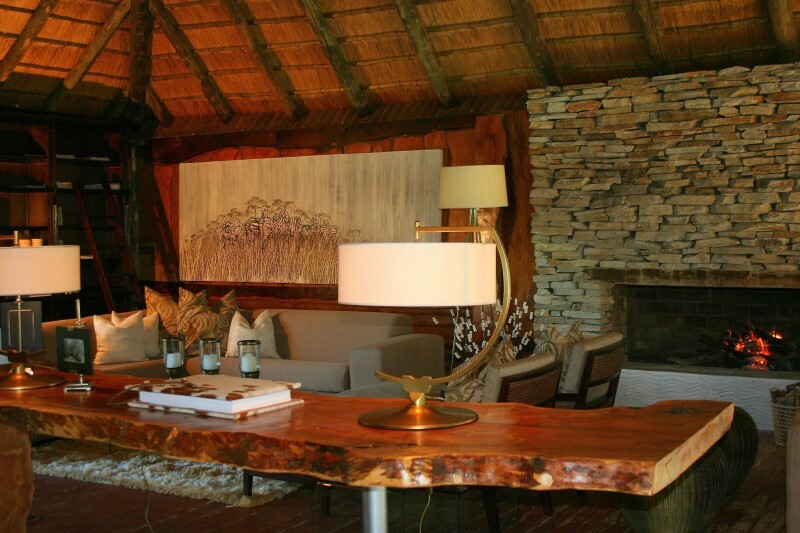 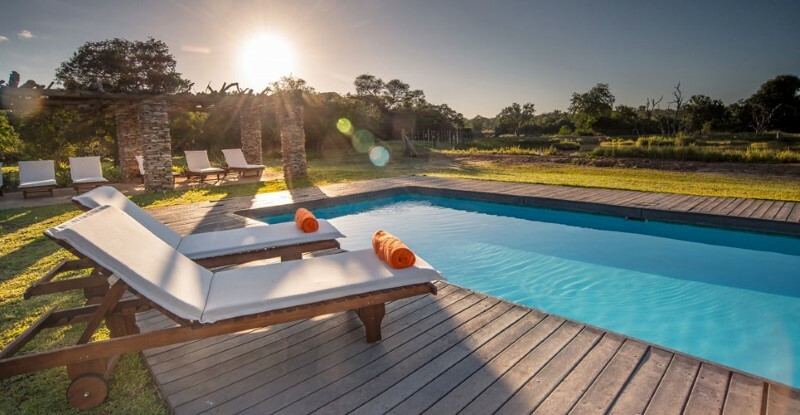 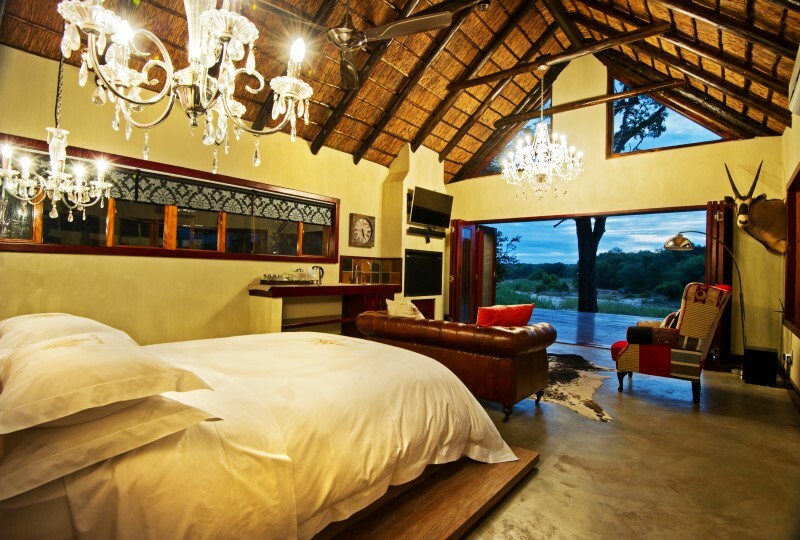 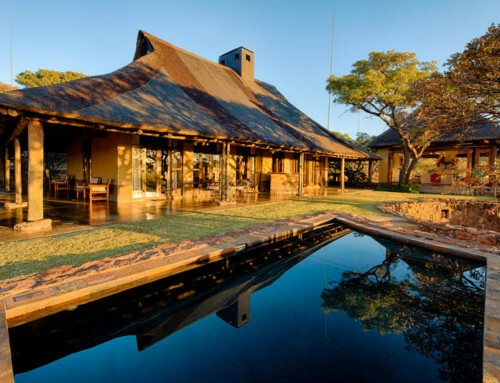 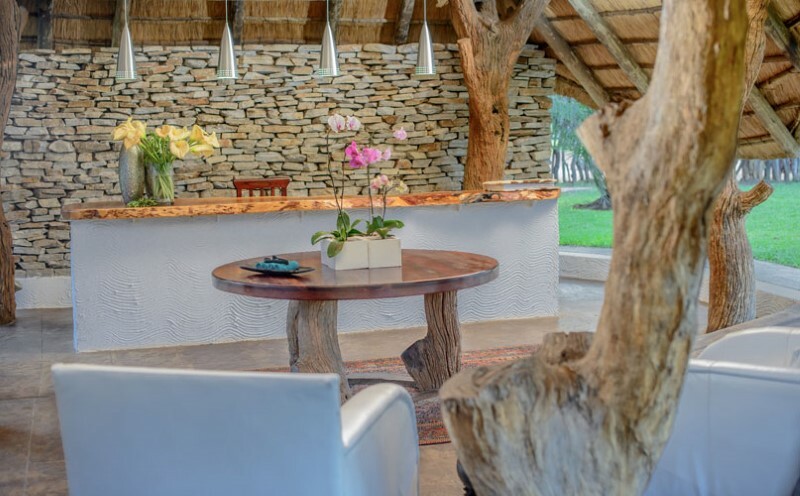 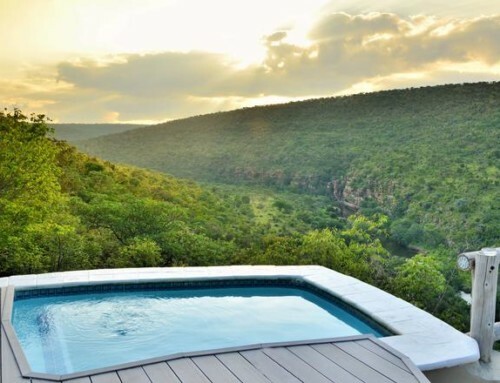 Enjoy a relaxing afternoon beside the pool or watching the game from your private deck before being whisked away on a late afternoon safari in an open game drive vehicle. 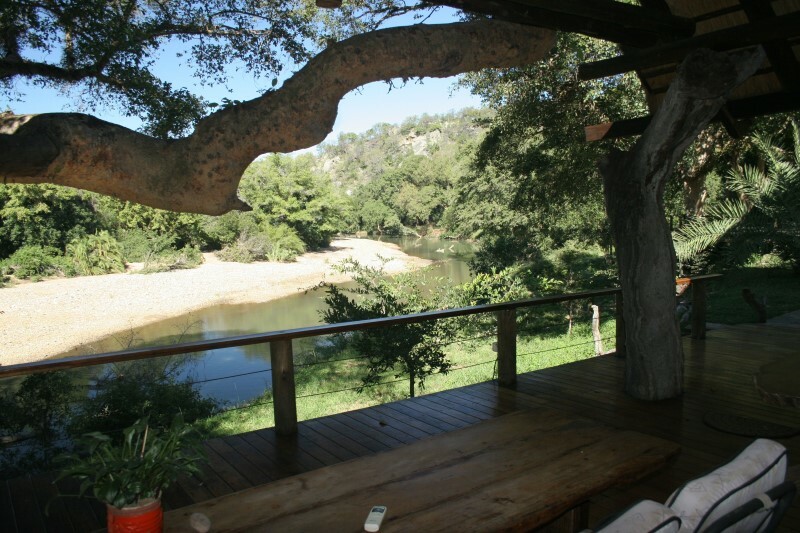 The enchanting view over the Makhutsi River is a natural treasure providing insight into the secret river life. 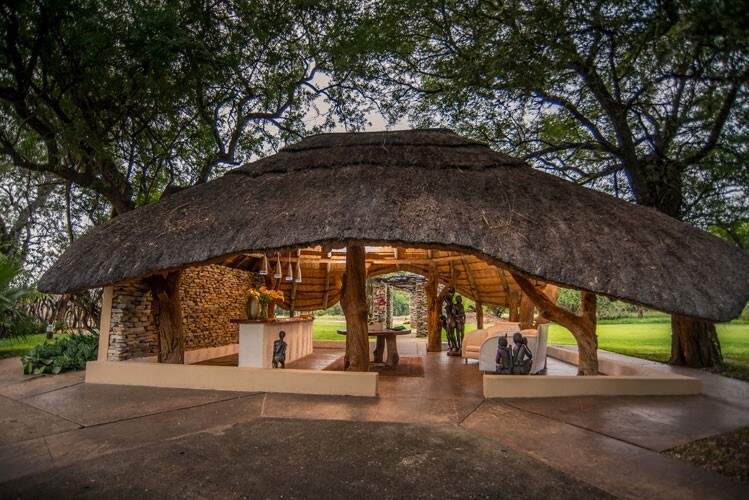 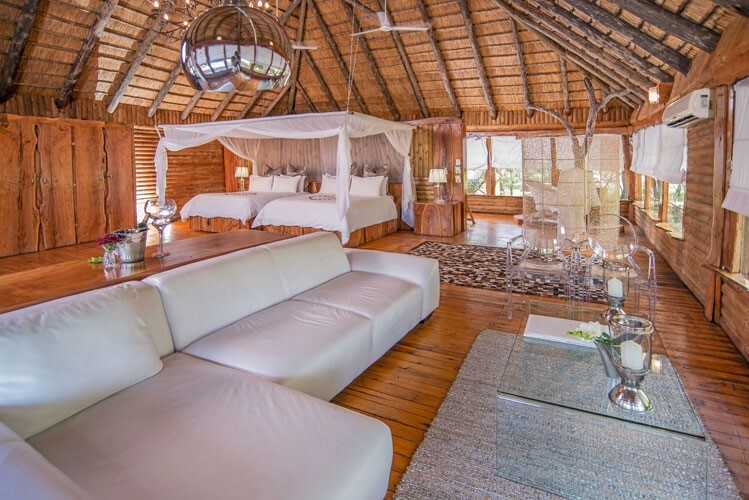 The spacious lounge area leading onto a vast deck allows for endless opportunity to view elephant, as well as grazing antelope.